An inexperienced pilot caused an in-flight upset of a corporate jet when he overcontrolled the pitch immediately after the autopilot was disengaged, according to an investigation by the Finnish Safety Investigation Authority. 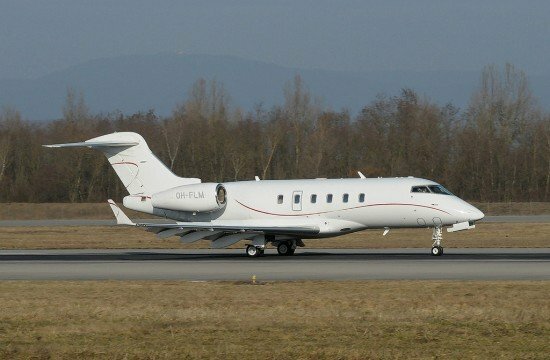 On 23 December 2010 a Bombardier BD–100–1A10 Challenger 300 business jet, registration OH-FLM, departed Moscow, Russia for St. Petersburg. The flight was a familiarisation flight for the co-pilot, who acted as Pilot Flying. There were three passengers and three crewmembers of the on board. During the initial climb when the Engine Indication and Crew Alerting System (EICAS) annunciated an Autopilot Stabilizer Trim Failure (AP STAB TRIM FAIL) warning. In accordance with the fault checklists the captain disengaged the autopilot. This resulted in a porpoising oscillation which was quickly brought back under control. As a result of the occurrence two passengers were injured and some of the cabin interior was damaged. The aircraft returned to Moscow’s Sheremetyevo Airport. Whereas the aircraft’s checklists advise the pilots to firmly grip the control column prior to autopilot disengagement, they do not instruct the flight crew to consider adjusting the airspeed to correspond to the horizontal stabilizer angle. Neither did the checklists include any mention of turning on the Fasten Seat Belt sign. The cause of the occurrence was the overcontrolling of the aircraft’s pitch attitude immediately after the autopilot was disengaged. Contributing factors included the pilots’ unfamiliarity with the characteristics and operating principle of the aircraft’s artificial pitch feel system as well as shortcomings in system training. Further shortcomings were also observed in the flight crew’s checks and in crew cooperation. High airspeed was yet another contributing factor to the considerable acceleration (g) forces experienced during the upset.